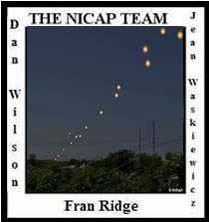 Dan changed the time on the sighting to 1:45 a.m. as is was given in the observers questionnaire. See MAXW-PBB14-711. The 3000 foot distance "away" refers to a perpendicular line to the observer where the object's actual distance away would be the diagonal to the object at 5000', which would be more than that or about 5800 feet.